I Would Rather Go Hungry Than Eat Filipino Food Again…NOT! First, we’d like to thank you for visiting our country! We salute you for staying on a budget of only $25.00 per day. That is AWESOME! We couldn’t fathom how you decided to keep up with that little amount of money in a third world country specially that you’re looking for “authentic” Filipino dishes. Well, you should have known that Adobo is not a 100% Filipino dish. I bet, you did not do your homework well or MAYBE, just maybe due to a language barrier, you did not understand what it means by “melting pot of influences”. I don’t know which 711 store you asked for a “longanisa”. Can we also ask for some native err Polish dish at 711 stores in Poland? Longganisa can be found in every corner of Pagudpud(we’ve read about your trip to Pagudpud)but if you still couldn’t, you should’ve asked Mr. Google’s help. 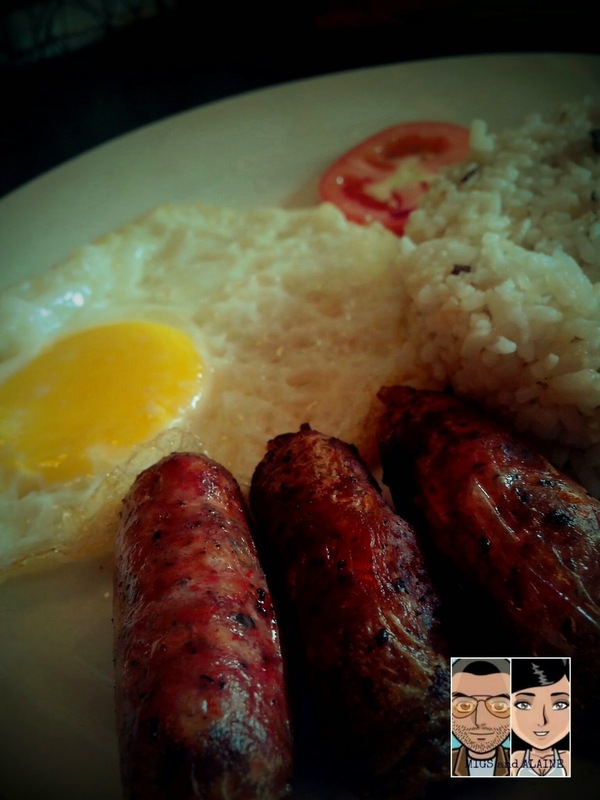 Search engines may have lead you to Longganisa Sopresa… a chain of restaurants that serves different kinds of Longganisa from different Philippine Provinces. You see, they have Php 100/meal and they have a generous serving. Enough for you guys not to look for a Dunkin Donuts store for some snack. Same with roast pig (lechon)… you should’ve chosen to dine at Lydia’s lechon restaurants. They have branches at different malls nationwide and they do have “budget meals” that ranges from Php150-400. If you were looking for some “exotic” fruits, then why buy apples and bananas? LOL! Apples do not grow in our country…and fruits vary from different provinces. If you were at Guimaras, then you would’ve tasted the sweetest mango according to Guinness book of world records. In the Southern part of Luzon and in Davao, you could ask for pineapples. Durian grows in Davao too. Since you were in Cebu, then you should’ve asked them for dried mangoes which they were famous at. For breakfast, you should’ve tried their famous danggit (choose from dried squid or dried fish) although a littel pricey, but still fits your daily budget and they’re worth it! Diningding is famous in Pagudpud, I wonder why you were not offered that dish. You can cook diningding for only Php50.00 and that is, if you guys were smart enough to use your Internet connection to get in touch with google rather than wasting your time looking for something you obviously do not know. Or maybe, try to level up a bit? If those restaurants that you posted on your blog entry passed your qualification of a “clean” restaurant then the problem is in you. We cannot stomach some street food in our own country except for “balut” that’s why we even go to restaurants such as Isaw Haws to eat some of our favorite street foods! If you cannot afford a decent hotel, then what makes you think that you can afford to eat at clean restaurants? You ALWAYS get what you pay for. You are a TRAVELER, you should know that. We are food lovers too..we eat anything that are served to us but we’re obviously not overweight and it’s not good to generalize unless you have researches/studies to prove that. We are Filipinos so, I guess we know better. Ilokanos are not known for being overweight because they eat more veggies and are probably healthier and stronger than you. FYI: With all those pictures posted on your blog post, you did not eat Filipino food, you did not even eat food, what you consumed was garbage. Lastly, Filipinos do not eat street food all day like what you did. Who in his/her right mind does that? We rather travel long hours from work just to go home to a home cooked meal.That’s how we roll. This is so alarming. Agness did not even try to counter michelle’s comment. We hope you will come back and bring loads of cash with you so you can try all the yummy dishes that the Philippines has to offer! After all, everything on earth has a price tag. Or if you really wanna stick to your delirious $25 daily budget, be friendly enough to ask someone(Local bloggers) to show you around (free of charge) or get a family who will adopt you, cook for you, and give you a comfy place to stay. With that style, you can eat real Filipino food for only $15 for the entire day. then spend you’re remaining $10 for some street foods, but please go to the right places. Update: We’re glad that you already got our point by including the word STREET to your blog’s title. The blog content was OK and somehow true. You just received a lot of hate because of that stupid title. hahaha yeah! I agree with you! That wannabe food critic didn't even eat real Pinoy foods! Very delicious but not too pricey. I bet your country have delicious food too. I read her blog post and was furious as well. No wonder a lot of Filipinos got really angry. This response post is actually great, I hope she'll be able to read this. I think that she had no right to say that! Understandable! & Can I just compliment the food, DELICIOUS! Oh, well. Things people do to get some attention. yeah that was one dumb feedback, seriously. she even included "torta" in her list of Filipino food to try! Who on earth gave her that list? Would like to give him a thump in the head! Poor girl. She doesn't know what she is talking about. First, she needs to know what "Street Foods" are.